The British Chambers of Commerce (BCC) and Herefordshire & Worcestershire Chamber of Commerce are focused on the practicalities of Brexit for business communities across the UK. Since the decision to leave the EU, the BCC has campaigned for answers to the pragmatic concerns of business. The UK government and the European Commission must focus on the future trading relationship – and swiftly conclude a deal that minimises further adjustment costs and that answers the many practical questions that trading businesses still face. The BCC has put together resources to help businesses prepare for the change and to assess the progress of the negotiations. While some companies are already planning for the challenges and opportunities ahead, the British Chambers of Commerce believe that all firms – not just those directly and immediately affected – should be undertaking a Brexit ‘health check’, and a broader test of existing business plans. 4. Protocols for maintaining the free movement of people and goods on the island of Ireland in all eventualities (the so-called ‘backstop’) and protocols on other territories e.g. Gibraltar and Cyprus. A Withdrawal Agreement approved by the UK Government, the Governments of the EU27 and the UK and EU Parliaments would unlock the transition period of 21 months, through to December 2020. While this doesn’t give business long-term certainty, it would mean there would be no immediate change to trading conditions for businesses in most areas. What is the Political Declaration? This will be the heads of terms for the future relationship and set the parameters for any post-withdrawal trade deal. An agreed and mutually-approved Political Declaration would mark the end of the beginning, rather than the beginning of the end, when it comes to agreeing the UK’s future relationship with the EU. It would remove the immediate uncertainty over the terms of trade post-29 March 2019, but medium-term uncertainty will remain beyond December 2020, and further deadlines and cliff edges remain possible. The transition period is the period of time between the Withdrawal Act coming into force, and the UK’s current relationship with the EU coming to an end. Under the Agreement, a transition period comes into force when the UK leaves the EU on 29 March 2019 and will ensure that there are few changes to how trade operates until the end of the transition period in December 2020. How will the transition period end? 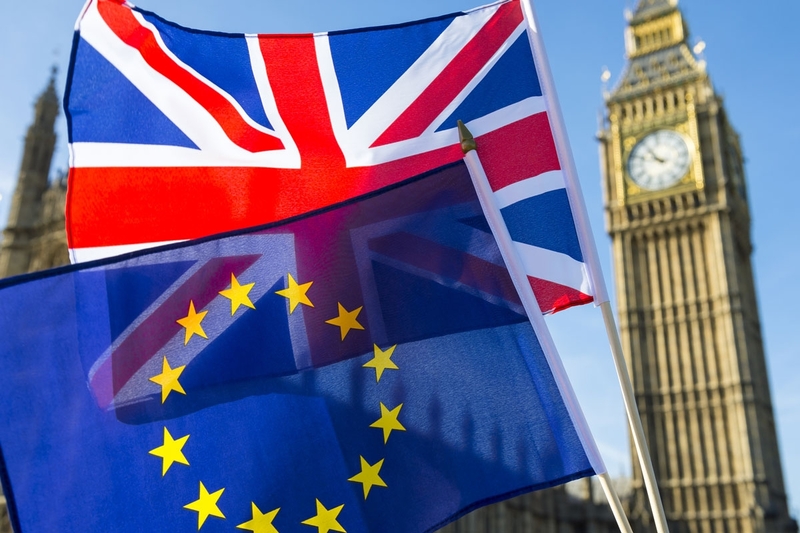 The transition period is timetabled to end in December 2020, at which point it is hoped that the future relationship between the UK and the EU will be finalised. What is 'the backstop' and why do we need one? The backstop is a backup plan to prevent a hard border between Northern Ireland and the Republic of Ireland, in the event of the transition period ending and no decision on the future relationship being reached. The UK and the EU agreed a backstop is needed they also agreed on what it needs to achieve – maintaining cross-border cooperation, supporting the all-island Ireland economy and protecting the Good Friday peace agreement. The backstop plan means that if there is not an outcome in trade talks by the end of the transition period, then the whole of the UK will remain in a customs union with the EU. Under the plan, Northern Ireland would remain even more closely aligned with the EU customs and VAT regimes and single market rules to guarantee no hard Irish border. The backstop is based on maintaining full alignment with the rules of the EU’s internal market and its customs union. If the backstop came into force, EU customs rules will be extended across the whole of the UK for a temporary period. There would be a single customs territory between the UK and the EU in that time. The backstop would also protect trade from the UK to the Republic – so-called east-west trade – as well as guaranteeing free trade from North to South. How would a backstop operate? The UK and Ireland are currently part of the EU single market and customs union, so products do not need to be inspected for customs and standards. At present, goods and services are traded between the two jurisdictions on the island of Ireland with few restrictions. The backstop that would see the UK, as a whole, remaining aligned with the EU customs union for a period of time after 2020. When would the backstop end? Article 20 of the Withdrawal Agreement (p329) states that for the backstop to end it would require the agreement of both the EU and the UK. Should either party decide that the backstop is no longer needed, they must notify the other party explaining why. Within six months of notification, a five-member Joint Committee will decide if the conditions are sufficient for the backstop to no longer be needed. It says the UK and EU will use their “best endeavours” to agree a new deal which negates the need for the backstop arrangements – in whole or in part – by 31 December 2020 – the final day of the transition period. What does this mean for businesses trading with and in Northern Ireland and the Republic of Ireland? The Agreement has been agreed on a technical level and has been agreed by the UK Cabinet. The Prime Minister has given a statement to UK Parliament to inform them of the Agreement. A special EU Summit has been announced for the 25th November. At this point, the political aspects of the Agreement will be decided. If the EU27 approve the Agreement, then the Agreement must then be ratified by both the UK and the EU Parliament. Following the Summit, the Prime Minster must then give a statement to the House of Commons. It is likely that this would be on the 26th November. A debate will then take place in the UK Parliament on a motion pertaining to the Agreement. Whilst not confirmed, it is likely that this will take place over five days. It has also not been confirmed if Members of Parliament will be able to table amendments to the motion. It is likely that a vote will take place in the House of Commons in early December to ratify the Withdrawal Agreement. Once the Agreement has been ratified by the UK Parliament, the EU Parliament will then also ratify the Agreement. It is likely that this vote would take place before Christmas. What should businesses be doing to prepare for Brexit? The British Chambers of Commerce has produced a risk register looking at the real-world questions businesses face. Firms of every size and sector need clarity in order to take decisions, invest and prepare for the future. As HM Government negotiates our future partnership with the EU, the British Chambers of Commerce is assessing the progress on 24 business-critical issues. You can access the Risk Register on via this page. The British Chambers of Commerce has also produced a Business Brexit Checklist. The Checklist has been created to help businesses to consider the changes that Brexit may bring to firms, and to help businesses in planning for change, at both operational and board levels. You can access the Business Brexit Checklist via this page. The British Chambers of Commerce are assessing every government document relating to Brexit and will be sharing briefings and guidance, through the Chamber Network, to help firms though the weeks and months ahead. The BCC has also published the two-dozen top real-world questions being asked on Brexit by businesses across the UK, where clarity is urgently needed so that firms can plan their trade following the UK’s departure from the EU. The UK is scheduled to exit the EU on Friday 29 March 2019. Businesses do not want a messy and disorderly exit, but with a ‘no deal’ scenario still possible, firms need clear and precise answers to the many questions this would pose for their business. The BCC and Chamber Network has campaigned strongly for official government guidance – and where possible, has welcomed the technical notices, partnership packs and other details of ‘no deal’ planning published by the UK government as a result. The published policies on hiring EU workers, postponed accounting for import VAT and support for the UK’s continued involvement in European standards setting, respond directly to the BCC’s calls for clarity and forward planning. Important though these are, we need the same level of clarity across many other aspects of the business environment – especially international trade where so many basic questions remain unanswered. The questions below capture the key uncertainties faced by businesses now.